This Czech glass button bracelet has great detail. 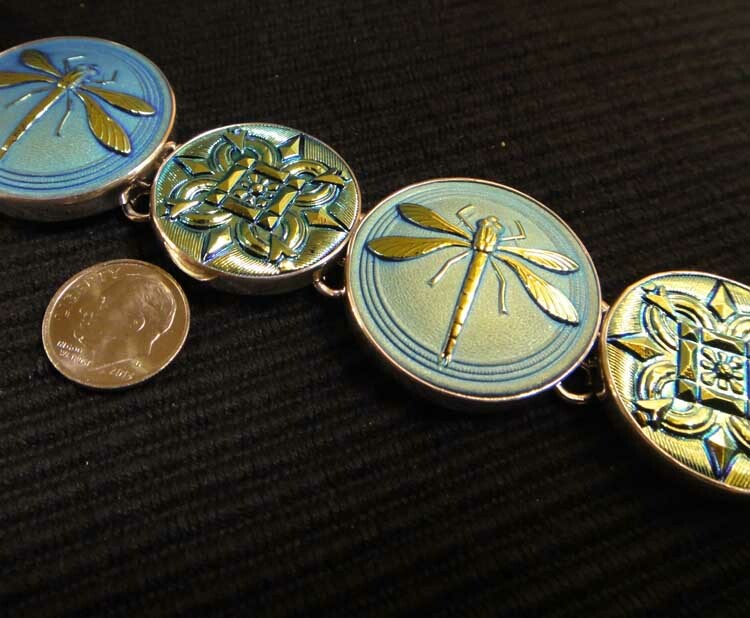 The buttons feature metallic green designs that change to blue and yellow in the light, and metallic yellow dragonflies on green and blue backgrounds, allset in sterling silver. 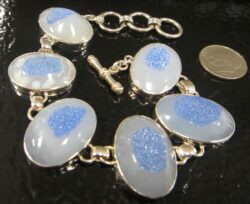 This Czech glass button bracelet has great detail. This bracelet features Czech glass buttons set in sterling silver. The buttons feature metallic green designs that change to blue and yellow in the light, and metallic yellow dragonflies on green and blue backgrounds. This bracelet features an over sized lobster claw clasp for added security. 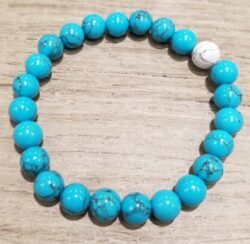 The bracelet adjusts in length from 7” to 8”. 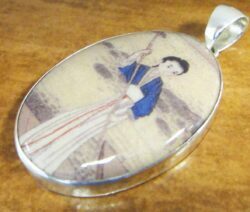 The bracelet measures approximately 1.25” at the widest point. 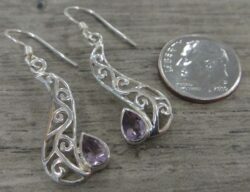 Please note that the dime is not included but shown for size comparison. 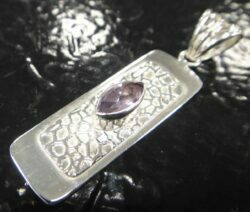 All metal used in this bracelet is sterling silver. 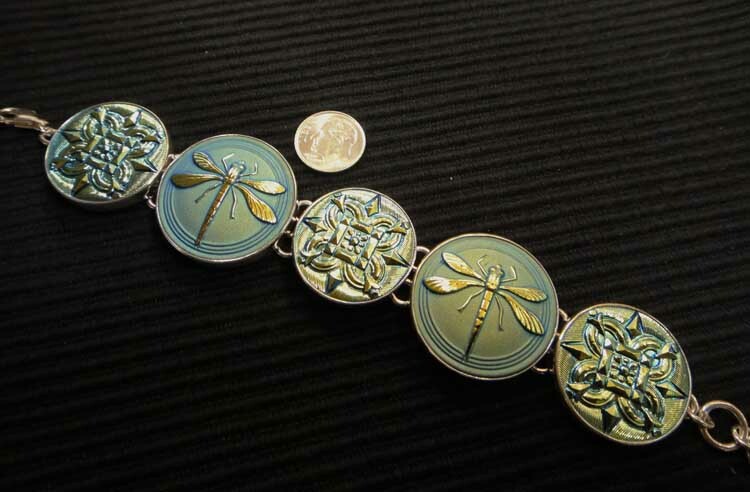 The Czech glass button bracelet was hand set in Taxco, Mexico exclusively for our store, Glassando. 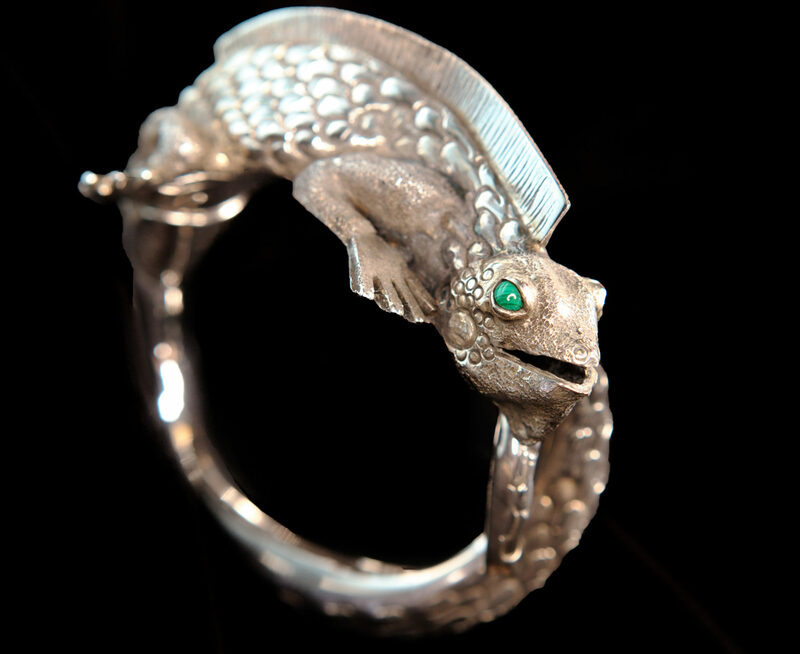 The city of Taxco is well known for the beautiful handcrafted silver pieces created there. 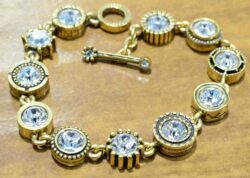 The bracelet is stamped on the back with a G for Glassando, and sterling which confirms that the bracelet is sterling silver. This brand new bracelet comes with our store’s original tags and our store’s gift box great for giving or storage for years to come.